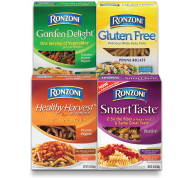 One of the most versatile of all pasta shapes, you can use Rotini in entrées, oven bakes, side dishes, soups and cold salads. This pretty shape can be paired with almost any favorite pasta sauce. 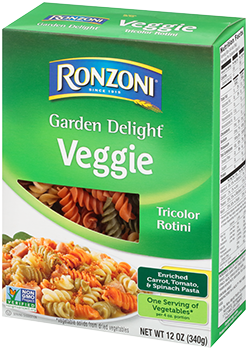 Ronzoni Garden Delight® Rotini is available in vibrant colors to showcase the vegetables in your salad, meal or side dish.